A species of small but mighty fish are the latest residents of Trevor Pitcher’s research centre — pioneers in the quest to bring endangered fish back from the brink of extinction. 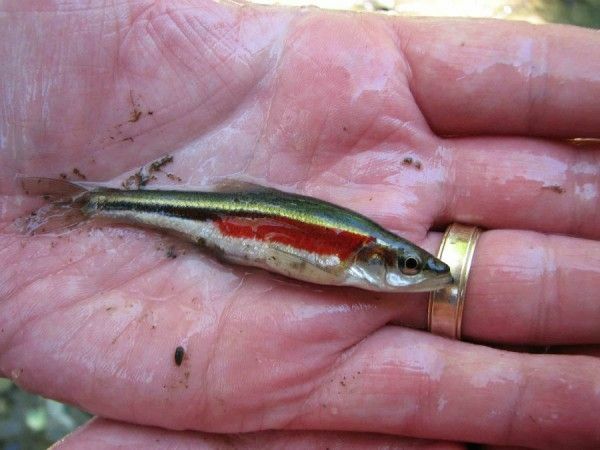 The redside dace is a species of minnow that is one of Canada’s most endangered freshwater species. It not only controls populations of flying insects, it’s a piscine version of a canary in a coal mine, a bioindicator of an ecosystem’s health. Once the streams they call home get turbid or too warm, redside dace die off. Populations are diminishing so quickly, it is estimated that only a few hundred individuals are left in Canada. Without intervention, the species could be extinct within five to 10 years. Enter Dr. Pitcher, director of UWindsor’s Freshwater Restoration Ecology Centre on the Detroit River in LaSalle. Pitcher, who has an extensive captive breeding program for game fish, hopes to create sufficient populations of redside dace to reintroduce into their natural environments.